There are so many people particularly students and working people who are moving into a private accommodation. Most of these people are first timers and do not really know much about the dos and dont’s when it comes to renting. So, we are going to give you some tips on what should you do and how you can be a happy tenant. Happy renting! Once the landlord showed you the agreement, you must not ignore the small prints included there. You always have to make sure that you have read everything under your tenancy agreement. 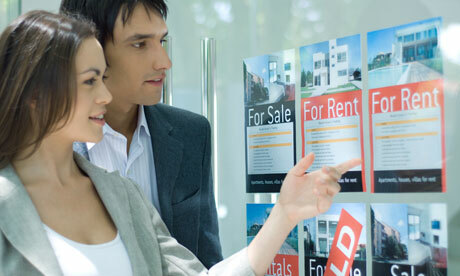 There are two types of tenancy agreement. One is the joint tenancy, it is when you sign with all the people who plan to rent the place with one agreement. The second one is the separate tenancy wherein each of you signs a separate one. Make sure that the inventory is accurate and exact. Take a keen look on the things that are listed on the inventory. This includes the appliances, furniture, curtains, carpets and other stuff. The inventory also has a list of the existing damages of the space you are about to rent. Ask the landlord to give you a copy of the inventory. Check out the safety, security and insurance of you and the property. This one should always be on the top of the list on the things you need to consider. Make sure all the appliances have been checked by engineers, especially the gas. If you are a student, make sure that your parents have agreed to include your possessions on their home contents insurance. Always keep a good record. When you’re planning to move out, this could be really vital for you. Keep a record of the receipts for the items you have replaced, copies of bills, and also some photos taken after you have moved in. Always have a date posted in it.